Olympic gold medallist Jon Montgomery will share his inspiring story with BU students when he speaks at 2017 Orientation. BRANDON, Man. – One of Canada’s Olympic heroes will help Brandon University’s (BU’s) newest students get out of the starting gate and on the right track in September. 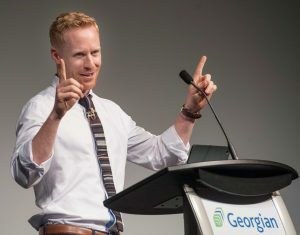 Jon Montgomery, a native of Russell, Man., and gold medallist in the 2010 Vancouver Olympics, will speak to first-year BU students on Tuesday, Sept. 5 as part of Orientation. Since rising to national prominence by winning the men’s skeleton race at Whistler, Montgomery has gone on to a successful career as a television host and public speaker. 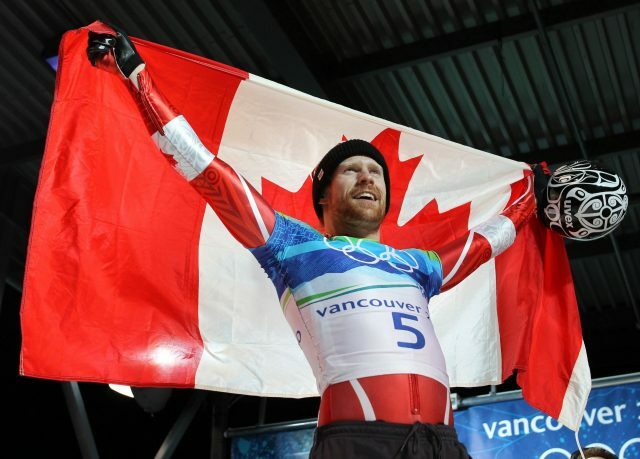 “Jon won the hearts of Canadians with his amazing performance in the Olympics and his magnetic personality,” said Courtney Adams, Acting Director of Recruitment and Retention at BU. Currently the host of The Amazing Race Canada, Montgomery has also appeared as a guest on Oprah and co-hosted the JUNO Awards in 2016. In 2016 he also won a Canadian Screen Award as Best Host in a Variety, Lifestyle, Reality/Competition, or Talk Program or Series. Jon Montgomery’s impressive accomplishments and engaging personality have made him an in-demand speaker. Returning students, staff and faculty are invited to welcome new students and to get the opportunity to hear Montgomery’s presentation at the BU Healthy Living Centre. Seats for returning students, staff and faculty will be available on a first-come, first-served basis. Montgomery’s speech will be one of the highlights of two weeks of Orientation activities at the beginning of the school year as BU welcomes an expected 700 new students, along with more than 2,000 returning students. Orientation will begin on Sept. 5 and wrap up with the annual Battle on the Border, a friendly competition at the International Peace Garden with students from Minot State University. More information and registration for 2017 Orientation are available online at BrandonU.ca/Orientation.